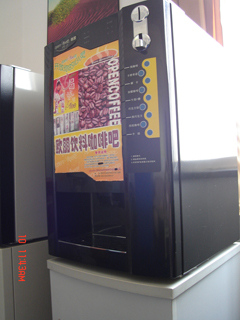 Three boxes of raw materials, while the 3 cold, 3 hot drinks. 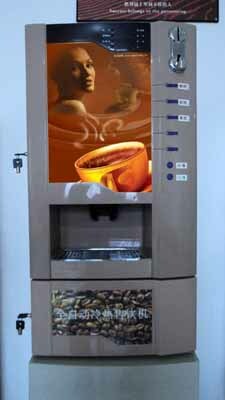 Feature can also be turned off without refrigeration, you can drink hot only. 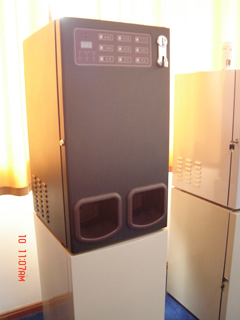 Semiconductor Two-chip high-quality electronic Refrigeration, 1-15 degrees, the general environment than the machine where the low temperature of 20 degrees. 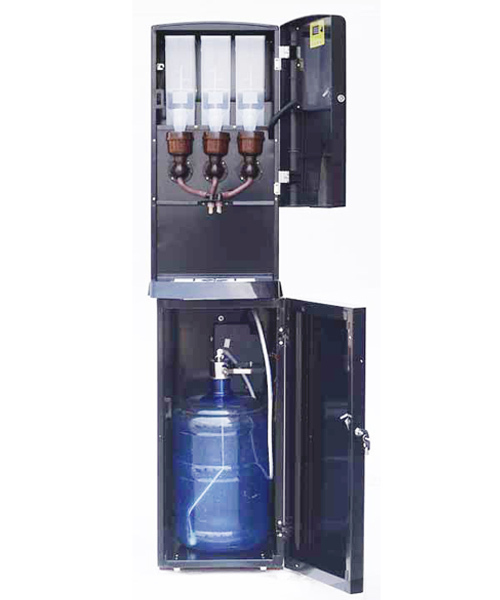 These two types of three heat three cold, the two motors, fans, hot water tank configuration slightly different, and appearance and function basically the same. 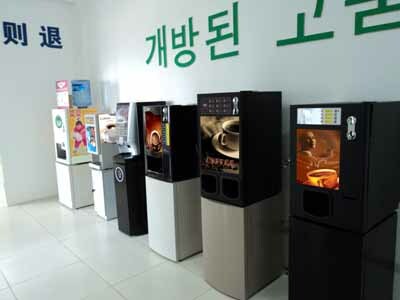 Four boxes of raw materials, any hot drink four independent and four kinds of raw materials can also mix the material, a total of nine out of hot drink mixed. 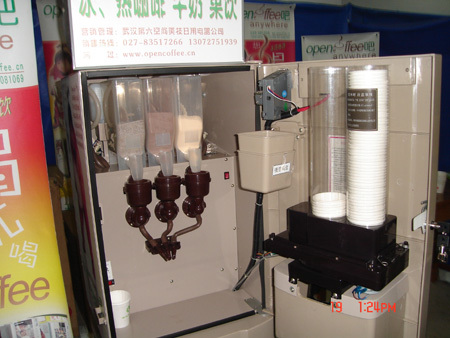 Four boxes of raw materials: Three of the raw material powder boxed any three instant and out any of the three kinds of ice or hot to drink; another raw box (placed in paper cups with tea bags devices) can be equipped with instant tea bags or other paper materials Cup and out the hot drinks. 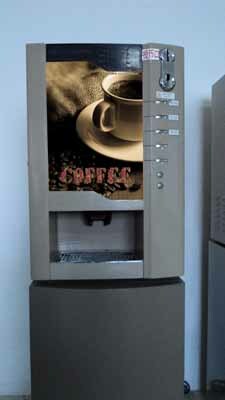 In addition also the hot water, cold water. 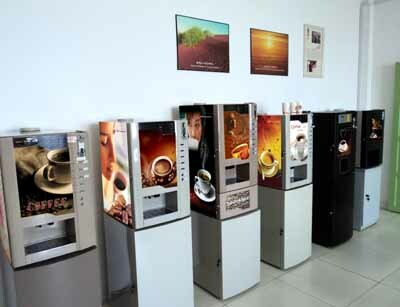 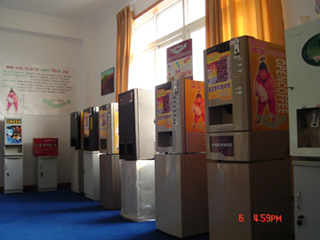 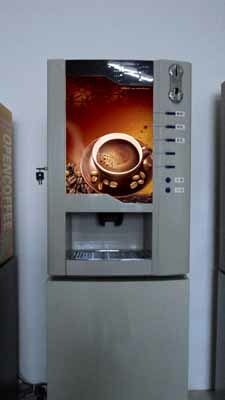 The machines above are all in coin, we can also support you Tea and Coffee Drinking Machine and not coin coffee machine: 302AC, 302ACH, 302M,302R, 302M4 and so on. 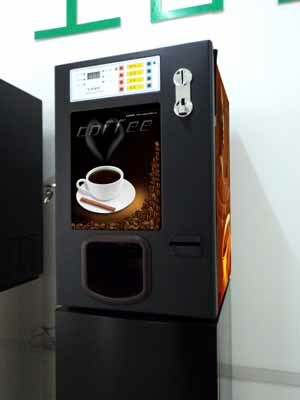 We can also support you the appropriate coffee and tea instant powder to the machines.